The safety of you and your passengers is of the utmost importance to us. If your vehicle has an open recall please schedule a service appointment and have this critical repair performed as soon as possible. INFINITI covers the cost of all open recalls at no cost to you. A safety recall happens when the manufacturer or the National Highway Transportation Safety Administration (NHTSA) determines that part of a vehicle is defective and the defect can affect the vehicle’s safety. Generally, a safety recall will be issued for specific vehicle models or specific parts that are common among many different vehicles. When this happens, the manufacturer notifies its authorized dealers and the owners who have registered the vehicle so the owner can take the vehicle to an authorized dealer for repair. If your vehicle or part of its equipment is subject to a safety recall, it means the manufacturer or NHTSA has decided that a possible defect in your vehicle is a concern and they want to make sure it never causes a safety issue. You can learn more about safety recalls by visiting NHTSA’s website at https://vinrcl.safercar.gov/vin/faq.jsp. If you are shopping on our website, and see a vehicle that interests you, there will be a link on the page where you see the vehicle titled “NHTSA VIN look-up.” If you click on that, it will take you to the NHTSA safercar.gov database where you can see if that vehicle has any safety recalls. You can also visit the NHTSA website yourself at https://vinrcl.safercar.gov/vin/. NHTSA’s website allows users to enter any vehicle’s Vehicle Identification Number (VIN)-the specific code that identifies each individual automobile-into its system to pull up a report that will show whether that vehicle is subject to any safety recalls. The website also provides general information on safety recalls based on a vehicle’s year, make, and model. In addition to using the NHTSA website, a free CarFax report will be provided to you before you purchase the vehicle so you can review the vehicle’s history, including whether there are any safety recalls reported by CarFax. If a vehicle is offered for sale as “certified,” it is our intention to repair any open safety recalls that we have identified before you take it home although that may not always be possible depending on the nature of the recall, the availability of parts, etc. Regardless of whether a vehicle is “certified” or not, you will have the opportunity to review a CarFax report prior to sale, which provides information about the vehicle’s history, including safety recalls reported by CarFax. Manufacturers must notify by first-class mail all registered owners and purchasers of vehicles subject to a safety recall and provide an explanation of the safety recall’s risk to safety. In the safety recall notice, the manufacturer will explain to the owner any potential safety hazards posed by the defect. The notice will also tell you what to do about it. Because manufacturers get the names of vehicle owners from state registration offices, you must maintain your state registration information to be sure to receive notice of a safety recall. If you move, be sure to update your address. We also recommend that you register your vehicle with the manufacturer as soon as you purchase it. When you do so, you will receive important information on your vehicle directly from the manufacturer. 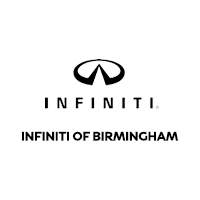 To learn more or check if your vehicle has any open recalls please visit INFINITI Open Recall Lookup.